For high quantity orders, please call 855-539-8247 for a price quote. 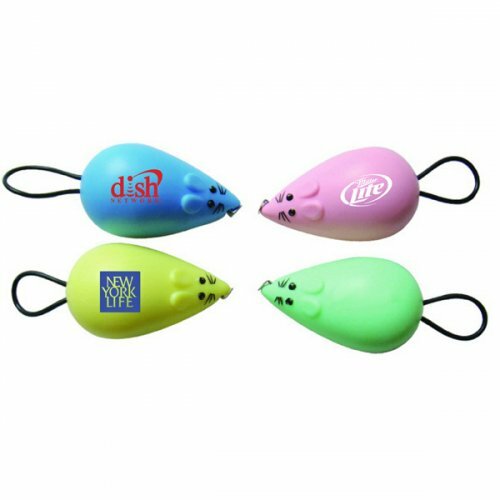 Promotional mouse shape tape measure animal keychain with tail ring rope makes an amazing promotional choice for marketers who wish to achieve lot with their small investment. This 2 –in-1 multipurpose token is equipped with a tape measure enclosed in mouse shape and is attached with a powerful tail ring rope. Real estate marketers, technology businesses or services, computer peripheral suppliers or maintenance services, fashion house and many more easily employ this tape measure with tail ring rope for value building. Request a quote to know price savings that can be availed on wholesale orders of this custom mouse shape tape measure keychain with tail ring rope. Features – Mouse shape tape measure with level and key chain. Solid ABS construction with 39" metal tape measure. Large imprint area. Product Size – 1 3/8" x 2 1/2". Available Colors- Black, Pink, Blue, Green, Red, White and Yellow. Imprint area - 3/4" x 3/4". Imprint Area :3/4" x 3/4"
Product Size : 1 3/8" x 2 1/2"
Product & Design Quality -I am very pleased with the design and print quality on the key chains. Customer Service & Shipping - The proofs were handled promptly and accurately. How customized Keychains Can Increase Your Leads? What if I don't have an artwork? If you don't have an art work, our team would be happy to help you in creating one from sketch. 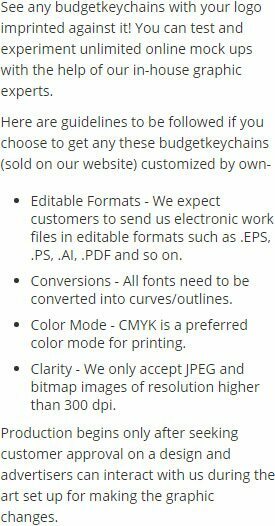 Yes, we do offer free shipping on selected printed keychains. You can avail free ground shipping to all states within Contiguous USA.